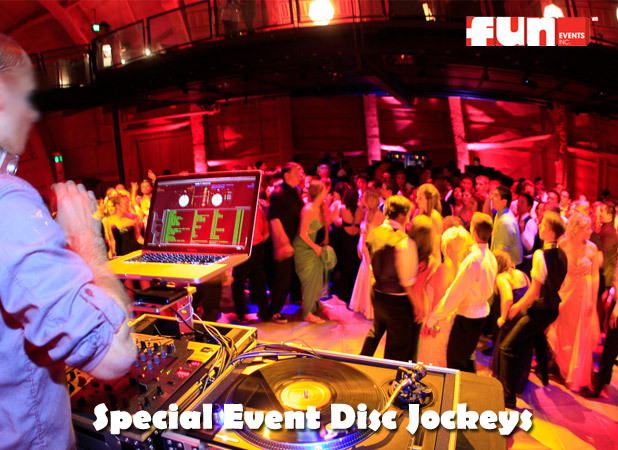 Set the tone of your event with a professional DJ party services and sound system. Choose from mellow background music to entertaining, upbeat,get on your feet and dance numbers. Our DJ entertainers can MC your event and set the atmosphere. Karaoke is also available. Disc jockeys.